City recommends pilot program that could see up to 30 new patios in parking spaces; new mobile vending carts. A parklet on West 4th Avenue in Kitsilano. Photo courtesy the City of Vancouver. 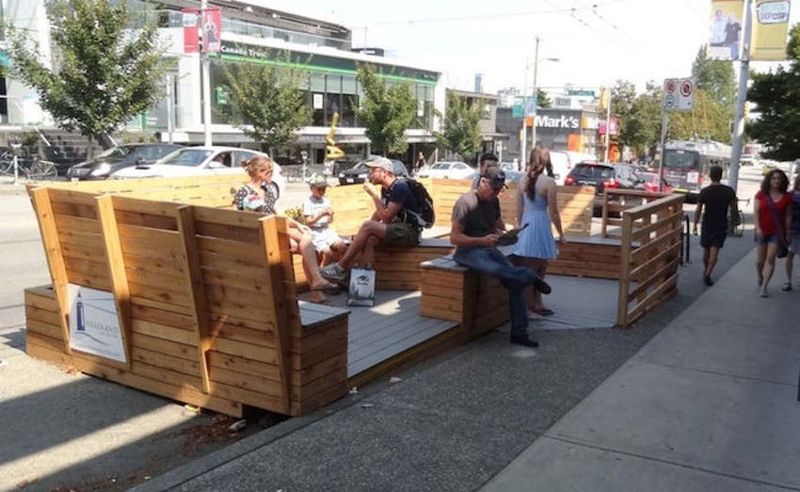 Mayor Gregor Robertson will support a report coming to Council on Tuesday that will see an expansion of parklets and patios in public spaces, including in parking spaces. 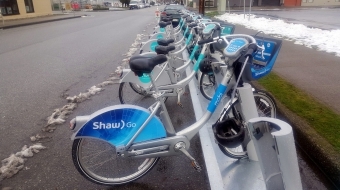 The report proposes two new pilot programs: expanding patios into parking spaces, and introducing mobile vending craft carts in partnership with the Craft Council of BC to Vancouver streets for Spring 2017. The report also recommends the popular pilot Parklet Program be made permanent. "Vancouver's long, gorgeous summers are prime for enjoying our vibrant and fun outdoor spaces and culture," ” says Mayor Gregor Robertson. City staff are proposing a three year pilot that could see up to ten patios per year be approved, allowing businesses to place their patios into parking spaces, lending more room for pedestrians, and giving space-crunched businesses the opportunity to expand their patio when a sidewalk one isn't possible. The City has already approved over 550 patios - 300 of which are licensed - and is working with residents, local business and community groups to continually improve the quality breadth of the patio program. In 2013, the City launched a successful p program for extended summer patio hours until 12:00am and, as a result of low noise complaints, this year the City has extended the program for eligible businesses to stay open until 1:00am. After five years as a pilot program, staff are also recommending that the Parklet Program be made permanent. Parklets typically take over parking spaces with benches, tables, chairs, landscaping and bike parking. Administered through the City, Parklet Program applicants are responsible for the costs of creating and maintaining the Parklet, and showing community support for the space.